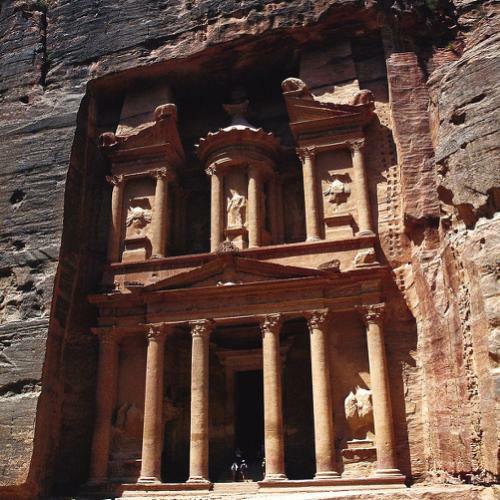 Ancient, mystical and magnificent - Jordan is a true standout of the Middle East. In a region plagued with conflict, here lies a safe and stunning sanctuary of dreamlike landscapes, littered with archaeological treasures. 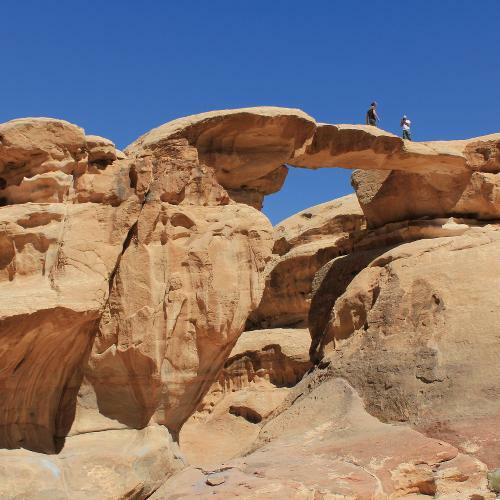 Jordan's striking scenery is the stuff of legend - vast sunbaked sand dunes and dramatic rocky outcrops of sandstone and granite, cool wadis fringed with date palms and hidden cities carved from stone. 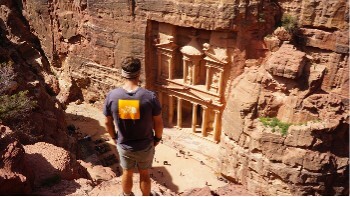 Be blown away by the ancient city of Petra, one of the world's great archaeological wonders - a fairytale desert city of rock-cut buildings and monuments, exquisitely carved into the surrounding sandstone cliffs in warm hues of rose, rust and gold. Experience the stark beauty of Wadi Rum at sunset, exploring by foot, jeep and camel the iconic gorges, cliffs, canyons and rock arches made famous by Lawrence of Arabia; and head to the Dana Nature Reserve to hike the 'Inca Trail of the Middle East' towards Petra, exploring remote canyons and near-vertical gorges and camping along spectacular wadis. 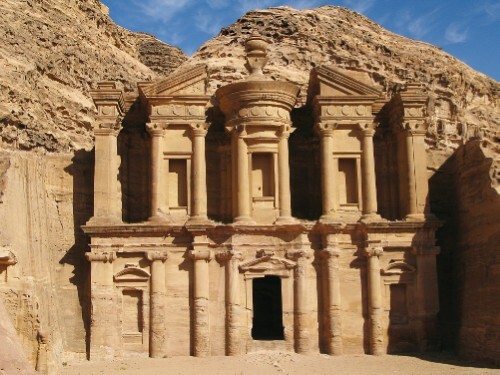 Explore the remarkably well-preserved ruins of Jerash, once a thriving Roman metropolis; marvel at the impressive frescoes and early Islamic architecture of Jordan's ancient Desert Castles; and stand as Moses did atop Mount Nebo, admiring a panoramic view of the Promised Land. 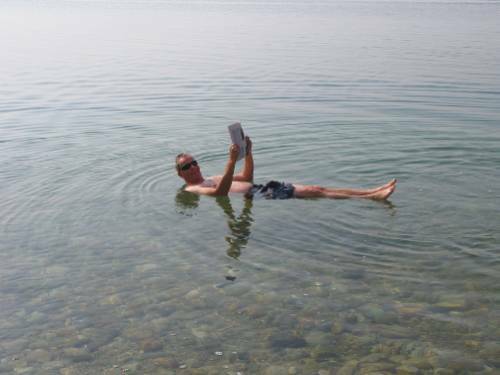 Then relax your travel-weary bones in the mineral waters and therapeutic mud of the Dead Sea; and enjoy the coral reefs, rich marine life and laidback holiday vibe of Aqaba, the jewel of Jordan's Red Sea coast. Whichever itinerary you choose, you won't regret an adventure into this breathtaking biblical land! Your first view of one of the world's great archaeological wonders will take your breath away. Feel the wind in your hair like Lawrence of Arabia on a jeep desert safari. 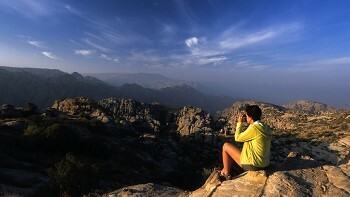 Experience wilderness camping in breathtaking wadis whilst hiking the 'Inca Trail of the Middle East'. Visit some of the best preserved ruins of a once thriving Roman metropolis. 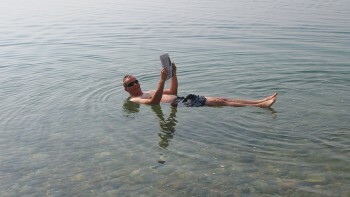 Admire the same panoramic view as seen by Moses of the Promised Land. 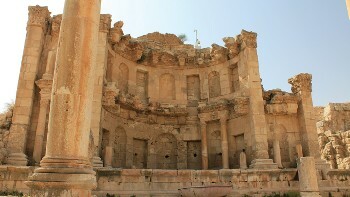 Wonder at the impressive frescoes and early Islamic architecture of the meeting places of the Umayyad rulers. Our Jordan itineraries offer great value for money, featuring top quality service and atmospheric wilderness camps and accommodation. We aim to incorporate as many inclusions as possible in the tour cost such as most meals, entry fees, private vehicles and transfers, eliminating the need for you to travel with large sums of money. 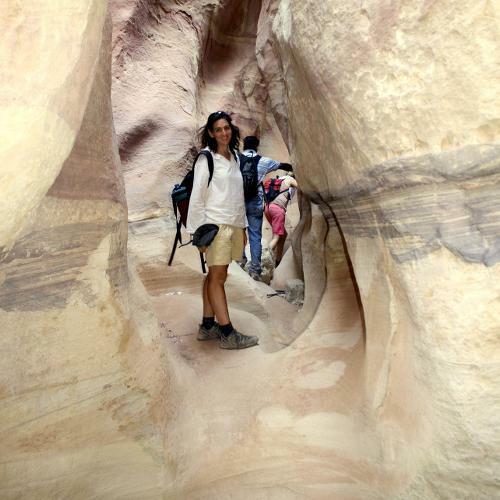 From exploring the ruins of Petra and 4x4 driving in spectacular Wadi Rum to hiking in the Dana Nature Reserve and floating in the Dead Sea, our adventures encompass the many highlights of this fantastic country. Our friendly and knowledgeable driver-guides are extremely hospitable and are always delighted to welcome you to their country. From introducing you to the Bedouin culture to suggesting the most authentic restaurants, they will ensure your journey is authentic and hassle-free. These permanent safari camps in the desert use traditional Berber tents and decor, with the added ambience of being under a thousand stars. 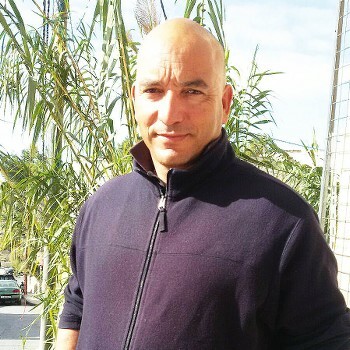 Ibrahim has over 10 years experience in leading hiking, cultural, bird watching and biblical groups throughout Jordan and enjoys sharing his country with visitors. Holding a degree in English Literature and Languages he speaks fluent English, French and Arabic. 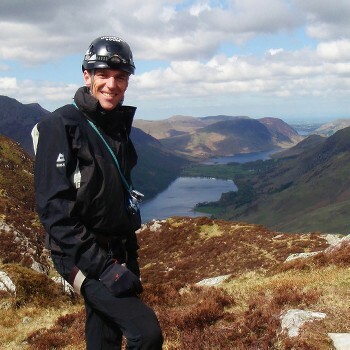 His enthusiastic and friendly nature in addition to his excellent knowledge ensures that your trip is a memorable experience. 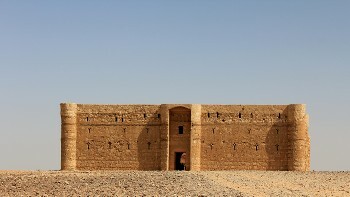 The best time to visit Jordan is in spring or autumn, although travelling in winter and summer has its advantages. In spring and autumn temperatures range from 10-30 C.
In summer temperatures can rise to 35 C or more but this period tends to be very dry. 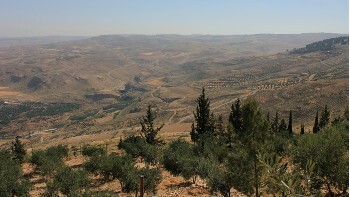 In winter temperatures can range from 5-20 C in Jordan. Most rain falls in the winter months. 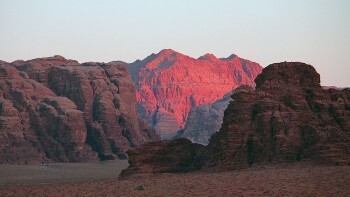 Temperatures in Wadi Rum have been known to drop below 0 C in winter, so pack some extra warm clothes if travelling then. Electricity in Jordan is 230 Volts, at 50 hertz. The most common pin type is C. (2 round prong). Please provide your reservations consultant with a scan of your passport so that we can organize the free Single entry group visa to Jordan. Note the free Single entry group visa to Jordan is based on the same arrival and departure dates for each World Expeditions group trip only and valid for one single entry. Otherwise normal visa fees apply upon arrival or prior to travel. If you are doing other tours or extending your stay in Jordan (not with World Expeditions), you will be required to apply for a separate visa with the other tour operator. In rare instances, we may be able to obtain permission from the Jordanian authorities to extend the departure date on your single entry free visa – please check with your travel agent or World Expeditions reservations consultant. Travellers considering a future trip to Iran or other Arab countries can request the Jordanian authorities to provide an entry card instead of an entry stamp on arrival. You should keep this entry card with your passport until you leave. Your passport must be valid for at least six months from the date you enter.